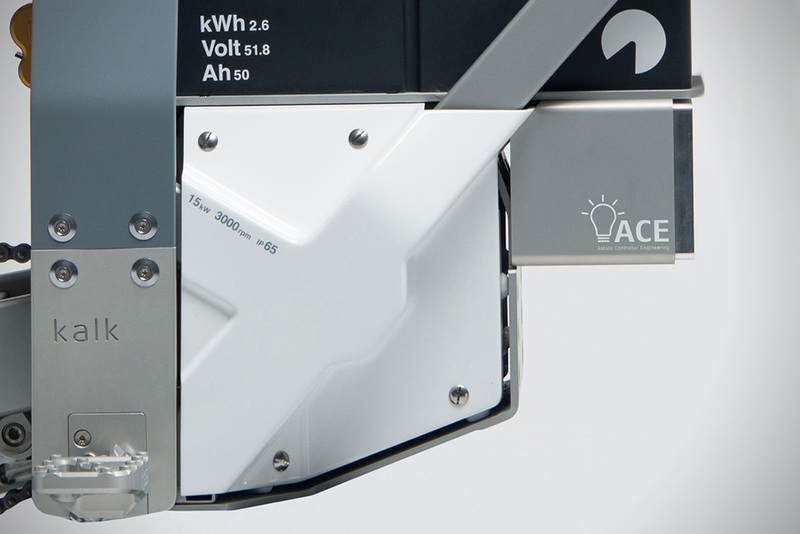 The balance between power and weight is a delicate dance for vehicle designers, with the general effect of boosting grunt is the inevitable addition of mass. 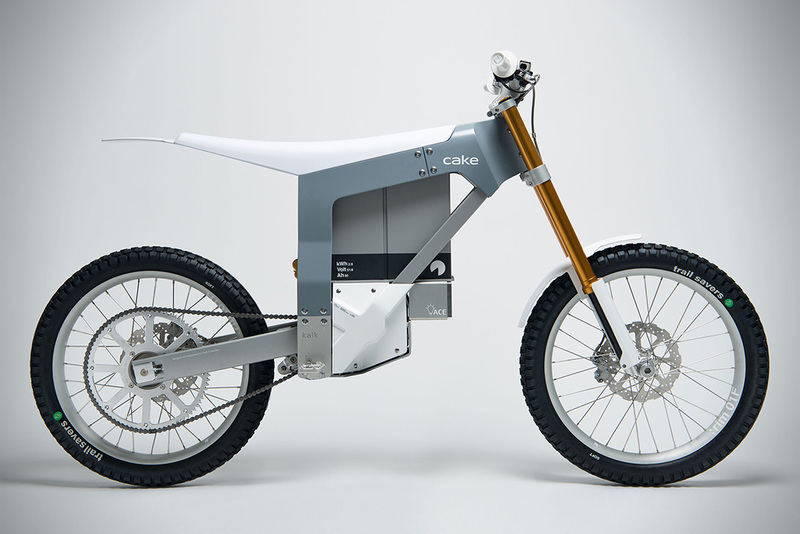 For the designers at Cake, they looked toward emerging electronic technologies to create a lightweight version of a fully capable dirtbike, known as Kalk. 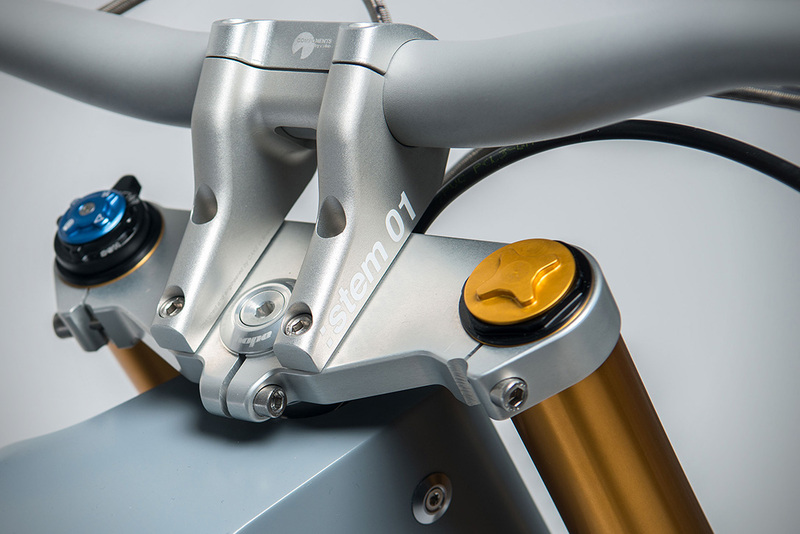 Setting out to build a bike that is more snappy and nimble than traditional internal cumbustion motos, Cake’s Kalk starts with aircraft grade aluminum for the frame and swing arm that is wrapped in carbon fiber body panels, materials that provide high strength-to-weight ratios for a stiff yet airy ride. 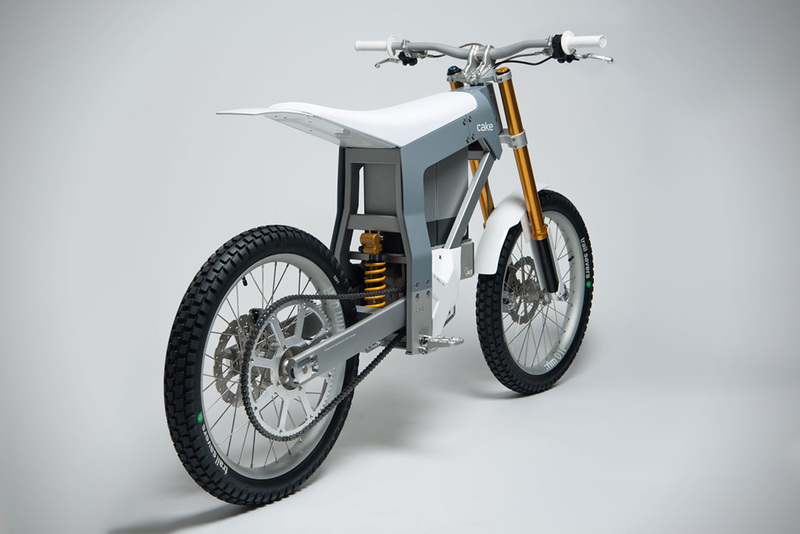 Power is supplied by a gargantuan 15 kW mid mounted motor that is fed energy from a 2.6 kW/h li-ion battery pack, generating a stated 50 mph top speed for a range of 50 miles. 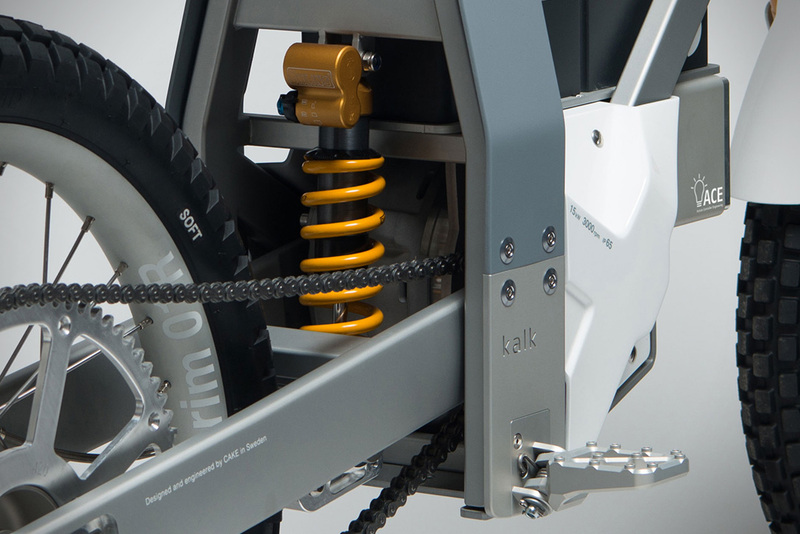 With the Öhlins suspension providing 8-inches of wheel travel and the bike weighing in at 155-pounds, the power-to-weight-to-suspension ratios make the Kalk a mutant moto monstrosity. 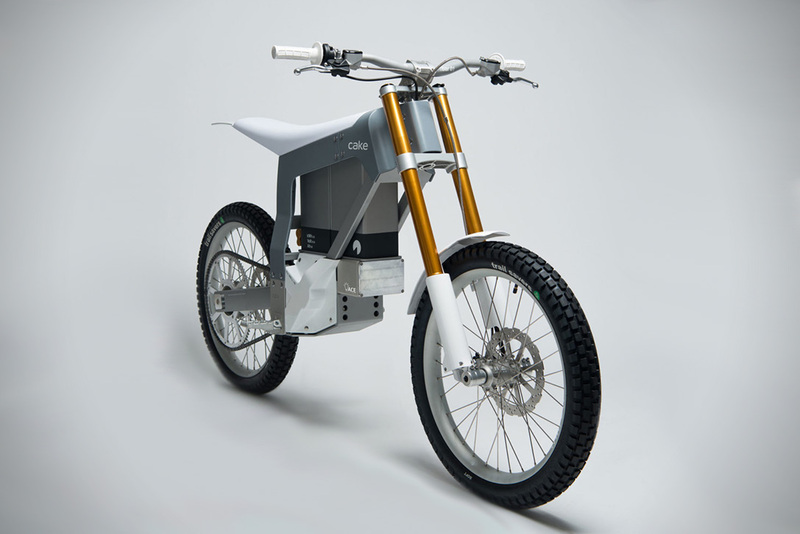 But you can always check more smallest bikes.